A lot of people ask us about how to get voice over work? There are lots of ways of getting voice over work and we will explain some of them here. You don’t have to be online for long to see all the adverts promising some new fantastic weight loss scheme. Similarly, when it comes to becoming a voice over talent, we see schemes everywhere that focus on easy success stories and people making millions in a short period of time. The truth is that people love to take shortcuts but often then give up after a few months of not seeing any results. Get rich quick schemes aside, it’s important to get the right mindset on how to get voice over work. There are so many things to learn, where do you start? The odds may seem stacked against you, but guess what, you have us here to help! Is there a lot to learn? Yes. But trust me. You don’t have to risk a lot of money and you don’t really have to worry too much about failure as long as you set the proper expectations. Build your career steadily, be tenacious, persistent and professional and you can succeed. It’s not just about hard work, it is also about working smart. So here are a few ideas on how to get voice over work. Knowing the industry comes with time but the more you spend understanding it, the better you can work out how to get voice over work. If you want to work in video games, for instance, you should know the top 20-50 game producers, the type of games they produce, the sort of characters they write and therefore voiceover skills needed. There is much more here to research, the important thing is that this information then helps you target work. As an example, you might produce a tailored gaming demo reel, perhaps based on their popular game characters, you might introduce a new character in a game’s style. Each part of the market works differently. Listen to famous voice over artists in the market you are targeting, why does their voice fit? What do they do well? If you are just beginning in voice over you need to recognise it is a tough market. The myth of easy work in voice over is just that – a myth. The truth is that the mentality of becoming a successful voice over actor is a lot like going on a diet. A lot of people will be tempted to go quick fads that promise easy success and quick results with minimum effort. If you want results you need to have a good plan and work hard. If you want to get voice over work it’s important to understand all the different parts of the voice acting industry. There is no one clear way on how to get voice over work. You have to be consistent and use many different methods. Obviously, as you gain more experience it gets easier. After a while, you get more repeat business, more referrals and start to see new opportunities come your way. Social media is one of your key tools in building your profile, gaining awareness and of course finding work. Rather than talk about how to get a good Linkedin profile, you can look at Tracy Lindley’s profile. 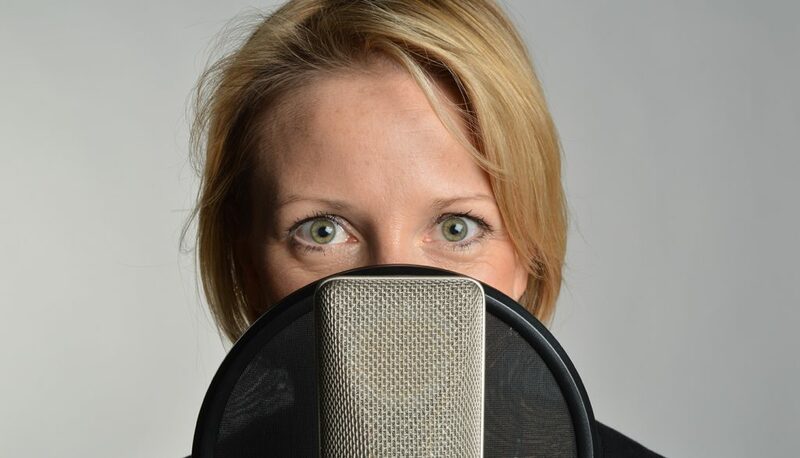 She is a professional voice over and as it happens also talks about optimising Linkedin. This is how Tracy appears in Google search. Why use Linkedin? Linkedin has close to 300M users, most of which are professionals. Make your headline descriptive – make it describe you clearly and use the relevant keywords. Professionals headshots and top image – create an interesting top banner – preferably with an image of you. Summary – use the summary to grab people’s attention and use your keywords. Create a story in your summary to make it stand out. Be honest about your career history and edit it to make sure it’s concise and shows your strengths. Use all the sections – anything you’ve published, your education. Publish updates – make them interesting not throw-away. Add-in videos of your work. Keep on top of messages you get. Linkedin isn’t just about your profile, it also has lots of professionals that could be potential clients. You can use it to search for people. An important point here is that just directly messaging people without a good introduction can be seen as spamming. It’s much better to do your research first and find out a bit more about them first. Twitter is another powerful social media platform that can be harnessed to get work. Here are three different ways of using Twitter and you start out in your voice over career. Use Followonk or other tools to find relevant people e.g. voice over agents. Connect and build relationships with people. This sounds easy but it does involve some commitment to be consistent. Remember to use social media as a conversation not just to blast out your own news. Retweet useful information from others, listen to influencers and help others. There are lots of videos uploaded to YouTube on every minute basis – 400 hours of video to be exact. Here is a simple strategy you discover how to get voice over work. Then search for these on YouTube. Quite often you will find that people have created videos for products but they have no voice over. So this is a great opportunity to reach out and contact the company. It can cost of lots of money to use Google Adwords. Competing at a National level can get very expensive, very quickly. But you can reduce that down to a local area or refine your search words. It takes some experimentation but this is a great way to get in front of people looking for a voice actor at the time they want them. Pay to play sites are a great way for beginners to get work. Essentially they are a marketplace where companies place adverts for jobs and/or look for voice talent. Whilst it is competitive there are some key techniques to stand out. ACX is where many authors and publishers go to convert their books into audio books. Audio books produced through ACX are sold via audible, Amazon and iTunes. ACX has some strict policies over the production of audio books. Make sure you check the submission policies and requirements. Go to ACX and sign up using your Amazon account. You’ll want to create your narrator profile to get started. Then click “+Add Your Sample”. That’s where you can upload your audio book samples, describe your expertise and choose your preferred payment method. Once you have a title you’d like to narrate you’ll want to upload an audition by clicking the green button. Like all businesses, you can’t beat building relationships as a way of getting work. I call this offline, in other words, it is all the ways that are not digital including: newspapers, magazines, networking, voice over agents. Anybody who changes their career faces the same challenge – how do I get work? The problem is that for most jobs you need experience and be able to show examples of work. 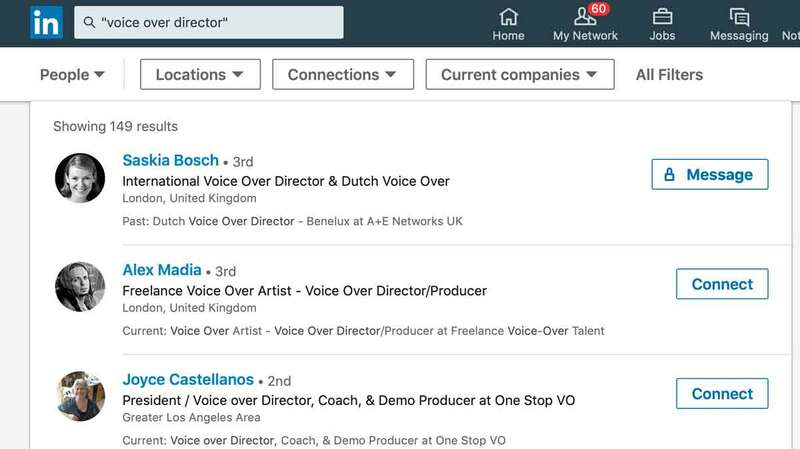 If you are new to voiceover this becomes a real issue and you can’t help but hurt when you get rejections because of this. So here are a few examples of how to get your first few pieces of work to help get your portfolio going. I know this difficult to take but if you can get some good work it will help. The key is not to just publish that you will do work for free everywhere – this would hurt your personal brand. You need to get a plan and target a few companies. Work with local video companies – they will work with a number of projects requiring voice over. Make contact and meet them – don’t do it all over email – start to build relationships. Be honest and tell them you want to develop a portfolio and can help them free for a project – not forever. Work with a charity – a lot of charities need to have videos for their causes. Most charities have a limited amount of funds to get stuff done. So they will probably welcome your input and help. Work with a radio station – local radio stations again are normally working to tight budgets but have a range of clients. Offer to help with an advert. There lots of other creative ideas that have worked for voice actors that we have helped. Check out our other blog posts on how people got their voice over portfolio together from scratch. The Internet has changed how voice over professionals get work. The internet allows companies to conduct casting calls simplify by searching for, auditioning, and hiring a voice actor online. The result is that this makes it easy for people to work globally. The old style of face to face auditions is still important but you have to physically get to a studio location to give a read. Now that might be ok, but remember that you also have all the time and cost involved in getting to the audition and no guarantee of work. So you are putting money, your money, on the line. The positive though is that you get to meet people, understand what casting directors are looking for and probably meet other voice actors. Most castings take place in major cities, it is where the companies can get the best talent, studios, and often is where they work. So London, Toronto, New York…are typical casting places you will have to travel to if you don’t live there already. Union membership required for jobs that are posted online as union. 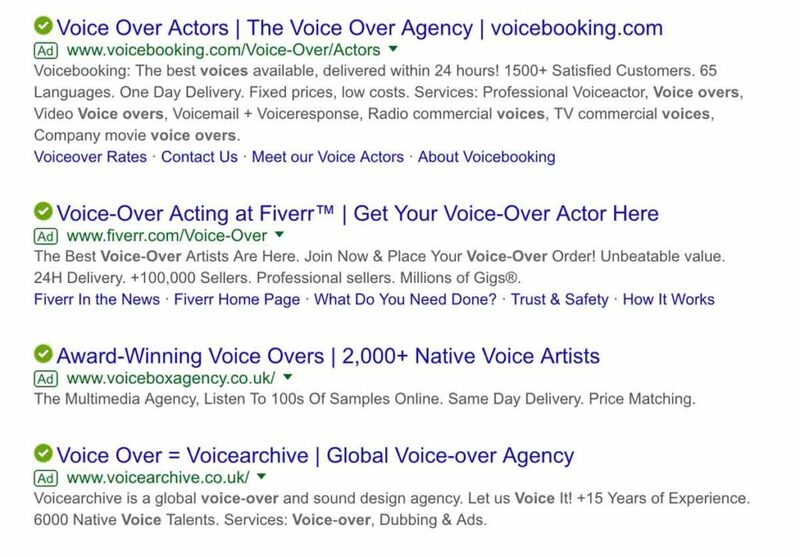 Websites play no part in any negotiation process between voice talent and clients hiring. A Simple Approach. One of the first questions we get from people is how do I get voice over work? So the art of getting work is to have a good plan, optimise your personal brand, produce a good showreel and be very targeted in your approach. The excitement of getting your first gig is amazing and worth the time and effort you put in to get there. If you have any tips for people then drop them in the comments so that we all learn and share together. What do you think are the best ways to get voice over work as a beginner?